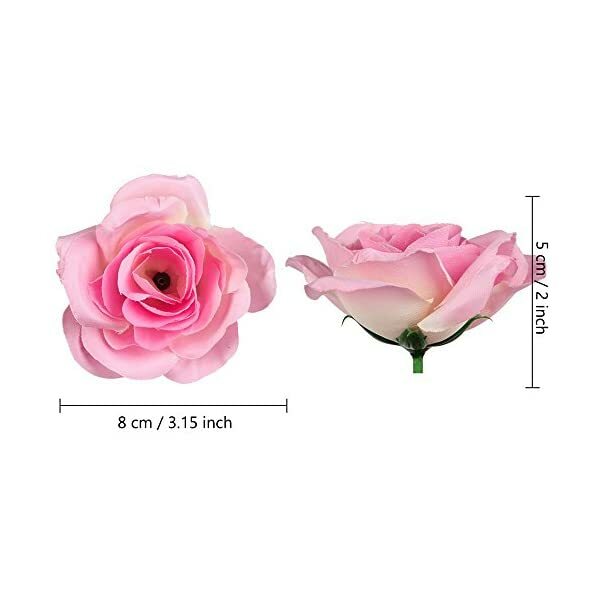 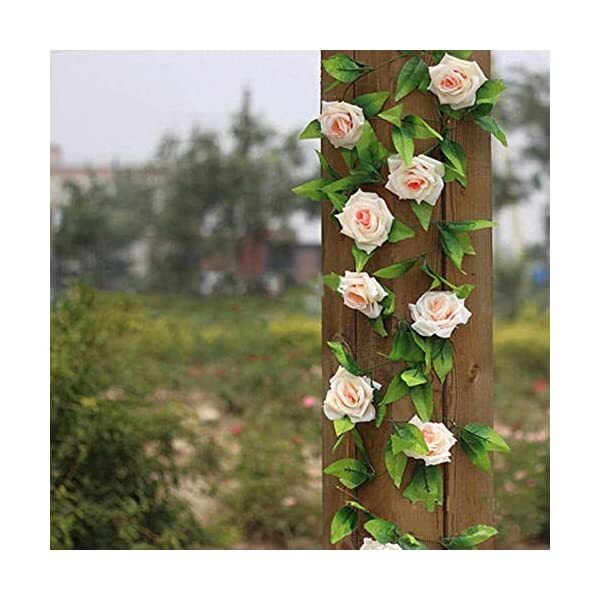 Size: Rose vines are 8.04ft/ 2.45m long, with 15 roses per vine. 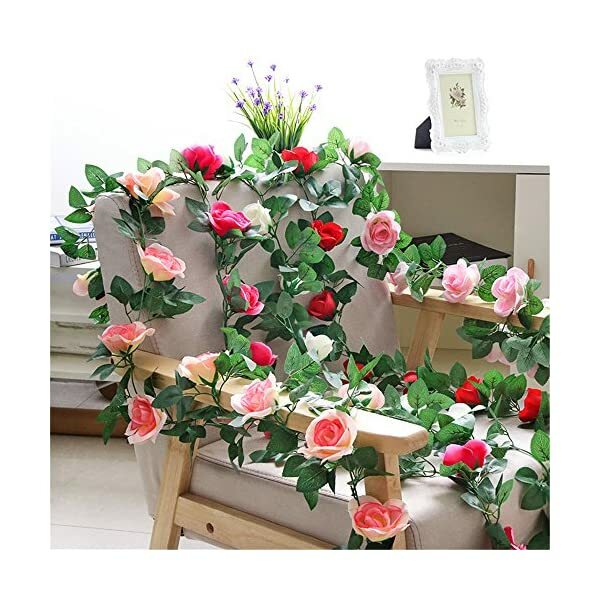 The flowers are full, the texture of the leaves is clear, the colors are more abundant, for you to create more layered decoration. 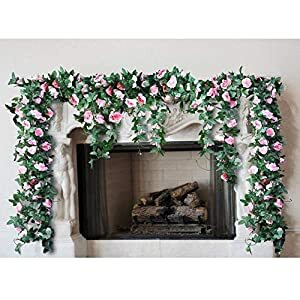 Scenes: Suitable for wedding parties, wedding arches,centerpiece decorations, show windows, shop, restaurant, place of job, flower basket, party, celebration, aisle, stairway, fences and lots of other events. 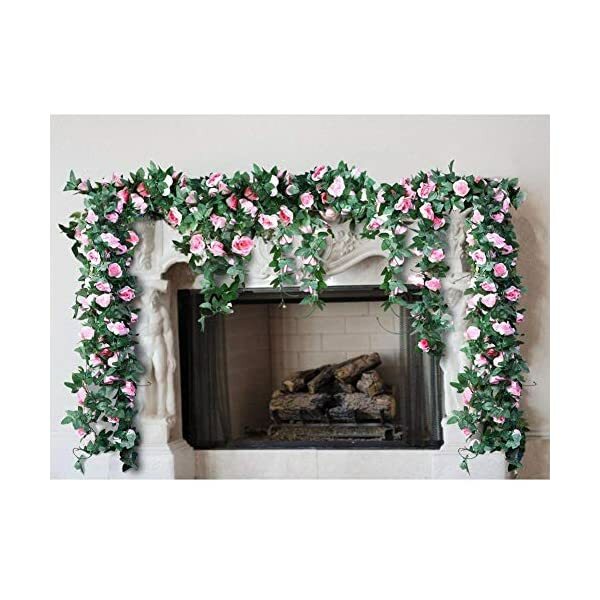 1.Highest for wedding decoration,elegant home/ hotel lobby decoration. 2.Used for weddings,hotels,parties in addition to other ceremonies, best possible decoration for home, hotel and park, and so forth. 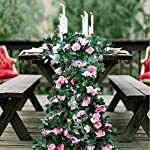 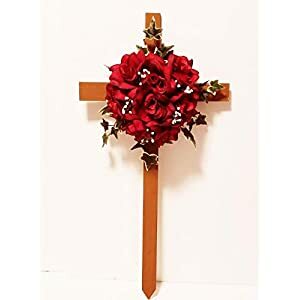 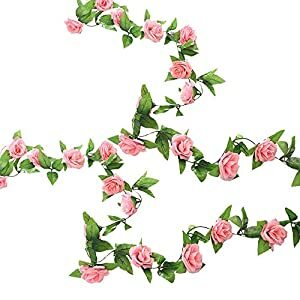 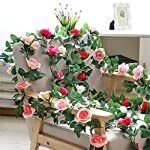 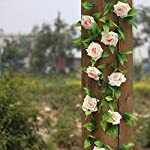 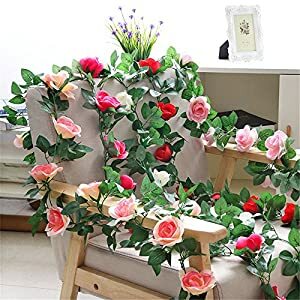 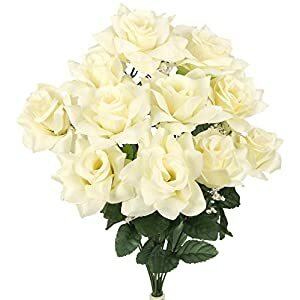 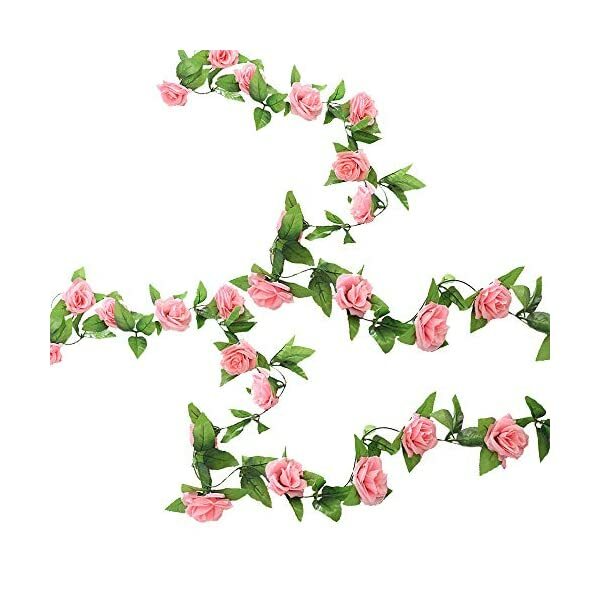 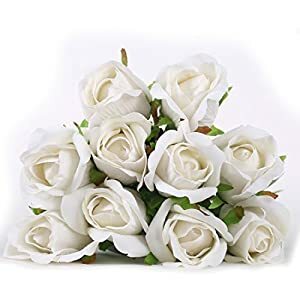 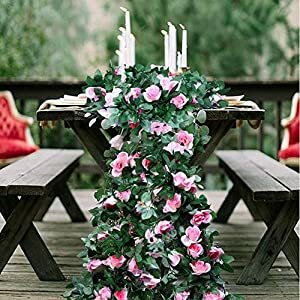 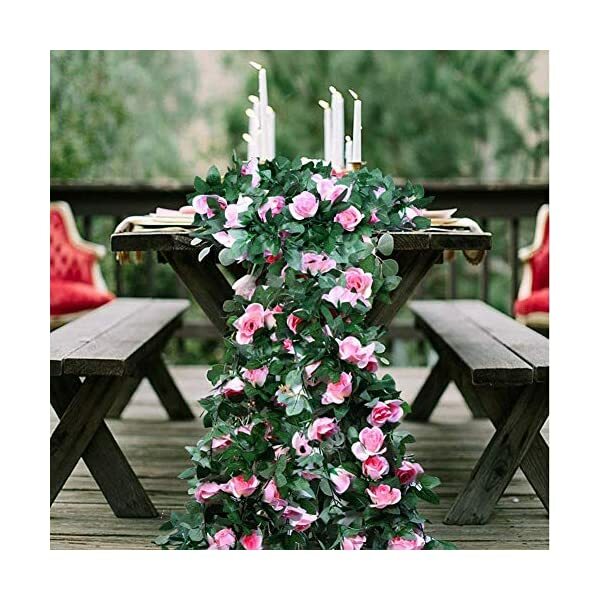 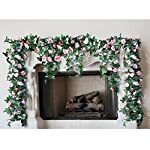 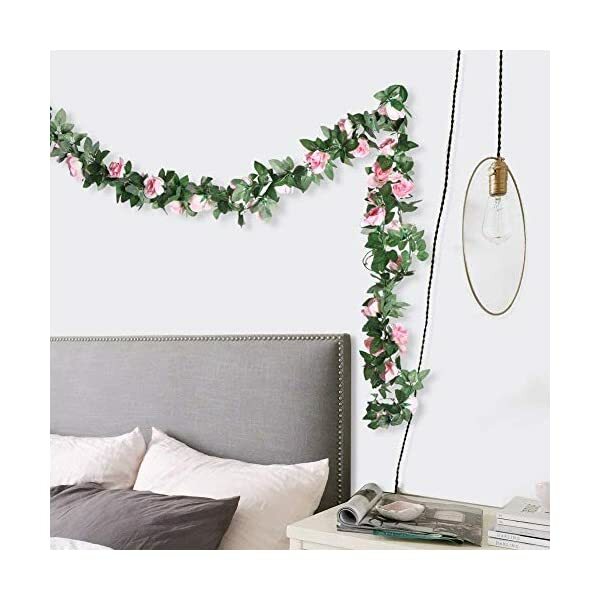 It’s great for wedding bouquet, party , place of job decoration ,decor, altar, church ,corsages, pew bows, reception centerpieces You’ll be able to hang it at the wall, doors, swing, mirrors and anywhere as you like to enjoy with artificial leaves vine. 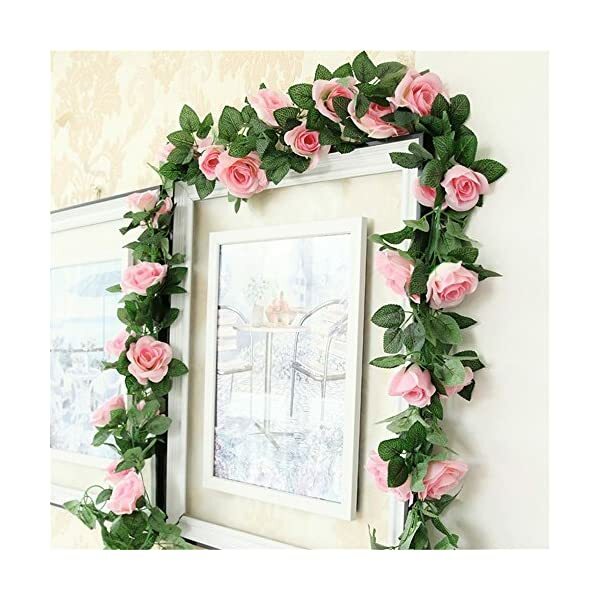 3.Prime quality, fresh color,poisonless and harmless, it is a top choice for decorate your house. 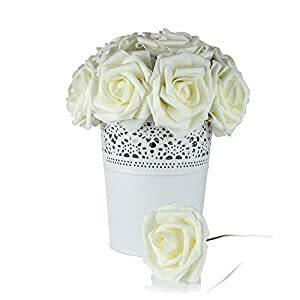 4.These artificial Flower heads are top of the range. 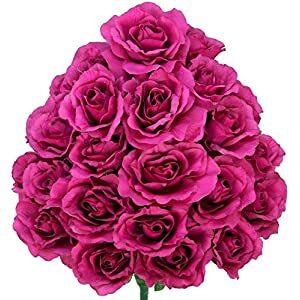 The head are realistic and beautiful. Great for embellishing clips,Fingerring,earring headbands, hats, clothes, scrapbook pages, cards, photo albums, bows, craft projects, weddings, parties. 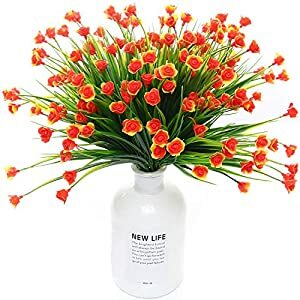 5.Increase more color and vitality for your life,build romantic atmosphere,make you might have a good moon on a daily basis. 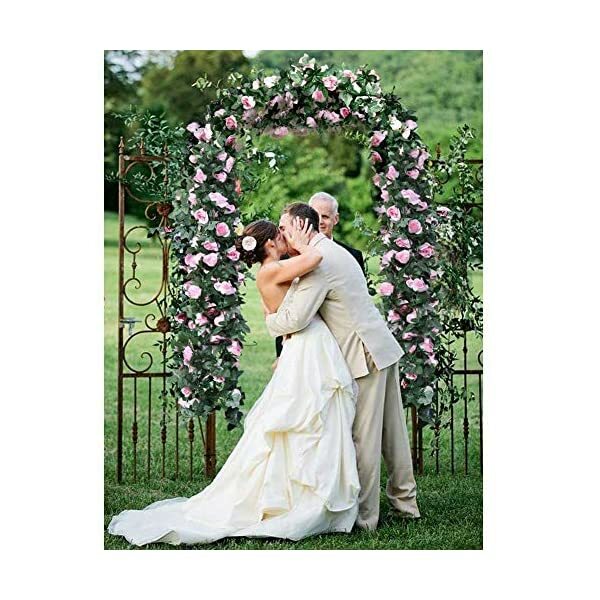 Because of differences between monitor displays, actual color might vary reasonably from image. 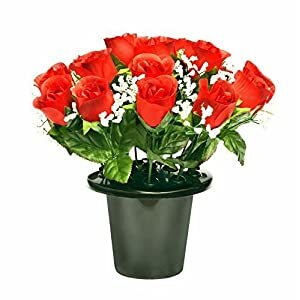 Simulation plants are flammable materials, please avoid the candlestick, candles and incense. 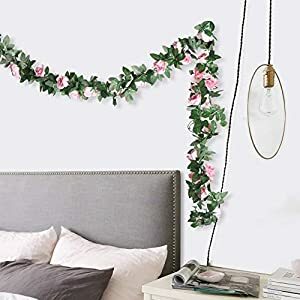 Artificial hanging vine plants are in processing of coloring, printing, embossing and cutting so it’ll have slight bizarre smell. 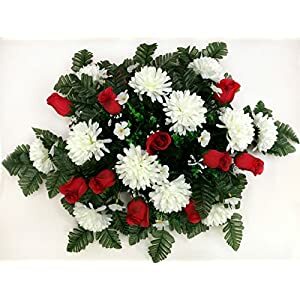 but please do not be worry about as it doesn’t have an effect on you to make use of it. 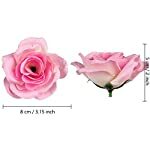 You’ll be able to put it under the environment of ventilation then the bizarre smell will disappear in 1-2 days. 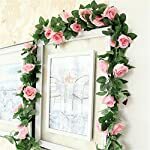 The flowers are full, the texture of the leaves is clear, the colors are more abundant, so that you can create more layered decoration. 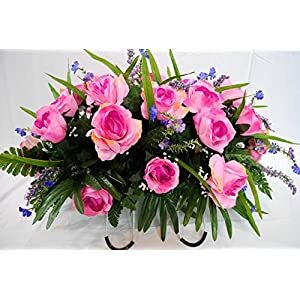 The stems are soft and will also be curved in any shape and wrapped around quite a lot of cylinders. 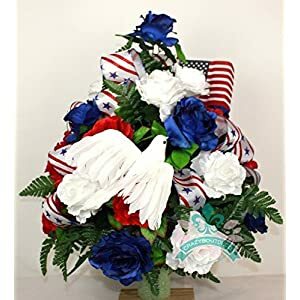 If you wish to have to clean, just wipe the surface gently with a rag.